Trump finished the North Korean/American Summit with a handshake with North Korea’s enigma of a leader, both said that much was accomplished, and with that groundwork in the one day of meetings was pushed forward, what will happen now is the nuts and bolts of an agreement if one can be reached. To expect years of hostilities washed away with one sit down was but naive and unrealistic, but I am rather sure the press will be pushing this narrative. The response from the opposition towards the North Korean/American Summit is in many ways not surprising; the fact that once more Trump is doing something historic is leaving them scrambling for something to condemn him over, looks like him shaking Kim’s hand was enough to set many of the liberals off. We know that with elections coming up, with polling going the opposite direction the left had expected, they now have to scramble to do something. Joseph Kim fled North Korea at the age of 16, and he defected to China. What is worse, you have the likes of Bill Maher who has come out and said he hopes for a recession, such a move would finally start down turning the rise they have seen in the polls for Trump, he went on to inform all liberals, even if such a thing would hurt them for a short time, they should support this if this is what is needed to unseat Trump. You can’t make this up folks; this is how off the wall these liberals have become, they would rather see this nation hurt or destroyed if they think it is what is needed to remove Trump. I find it ironic, the very people who wrote editorials that Trump and his followers would not accept an election if Clinton won, have turned out to be the ones that are acting exactly like what they were so quick to accuse others of being like. 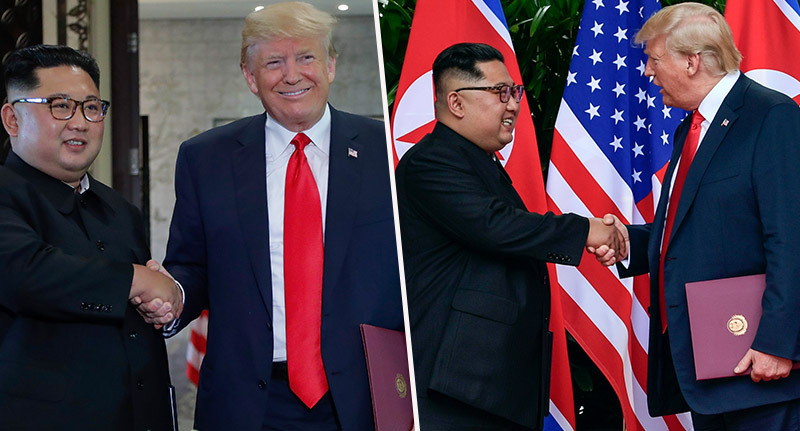 Give it time, before this is done, somehow CNN, MSNBC and the New York Times will say that Trump had nothing to do with this, he is only benefiting from what Obama did, when they are done they will try to twist the whole North Korean /American Summit to be the work of Obama as they try to spin this away from who is really responsible, President Trump. As I stated yesterday, to come away with too many expectations from this North Korean/American Summit will be a disservice to what is and has been done. While I expect optimism, and we have heard glowing words from both parties, I have learned over the years to hold off on expectations until I see the writing on paper and actions being carried out to fulfill what was written. We have heard from President Trump that there is a fast track now race towards a denuclearized North Korea, but I have a million questions, and I thinks so do others, including our president. How will there be verification that the nukes have been done away with? And how do we know that North Korea will not sneak them into China until this time passes, then sneak them back into the country to keep as the Ace card if ever needed? I also have to look at ask, “If the roles were reversed, and we were placed in the role of North Korea, what would we do?” Then place my expectations there, to think someone will do differently then we would do would be rather optimistic if not outright naive. So is the North Korean/American Summit a success or failure? I would say it is a success to this point by getting the two leaders togather in peace rather than threatening each other with annihilation. How will the future judge this? Time will tell, along with what the outcome in the future will bring about. If Trump can get North Korea to denuclearize, and to bring peace to the Peninsula, then he will have had done something never done before. While I think history will judge him well in the future, does not matter if Trump got G-d and Lucifer to shake hands and makeup, the left will still find a reason to condemn and attack him. Mr. President, Please Declare Your Emergency And Build The Wall!